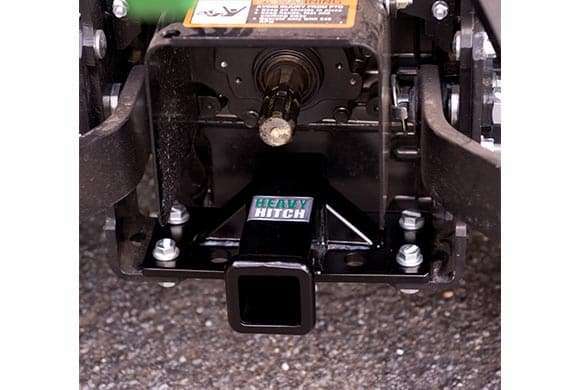 The Heavy Hitch Rear Receiver Hitch Plate for John Deere sub-compact Tractors adds hitch capabilities to the rear of your tractor without welding. Just bolt on using your tractor’s existing holes. Perfect for pulling and towing purposes when you need access to the rear of the tractor. Also allows you to add a variety of implements to the rear. Plus it won’t interfere with the PTO. 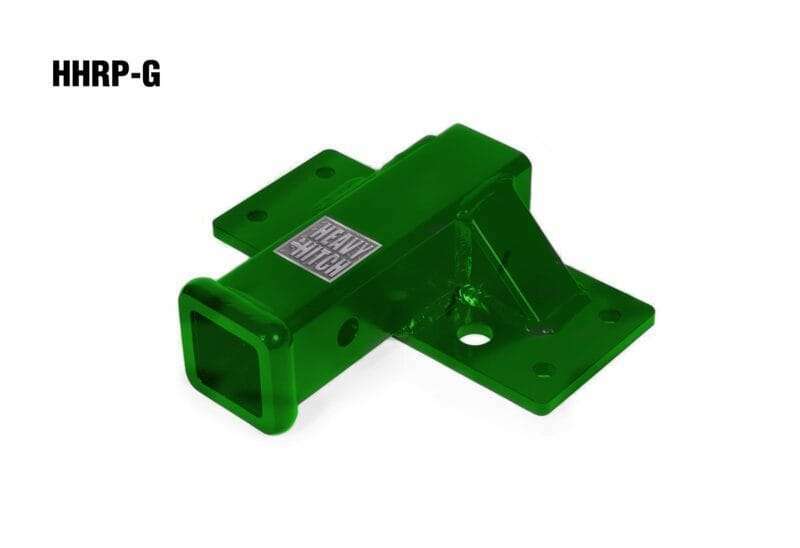 Comes standard with a super durable John Deere Green environmentally friendly powdercoat. All Heavy Hitch products are made in the USA by a Minnesota company you can trust. Be confident in the quality and longevity of our products – we use only American made steel and certified welders. Compatible with John Deere 1023E, 1025R, 1026R and the new 2018 2025R sub compact tractors. Only available in John Deere Green. Direct bolt-on replacement of the existing hitch plate. Includes 2 tie-down holes for securing tractor when trailering. Will work in conjunction with Heavy Hitch. Please call us 1-888-337-8999 or contact us if you have any questions. The hitch fits perfect, is heavy duty and easy to install. Hitch plate bolted right on my JD 1023e. Heavy made and well engineered. Thanks. Received my new receiver hitch yesterday. Well packaged and shipped quickly. I installed it on new 2025r today. Well built, sturdy and nicely finished. Mine did not include the heavy hitch decal, but that probably would have gotten scratched up pretty quickly anyway.